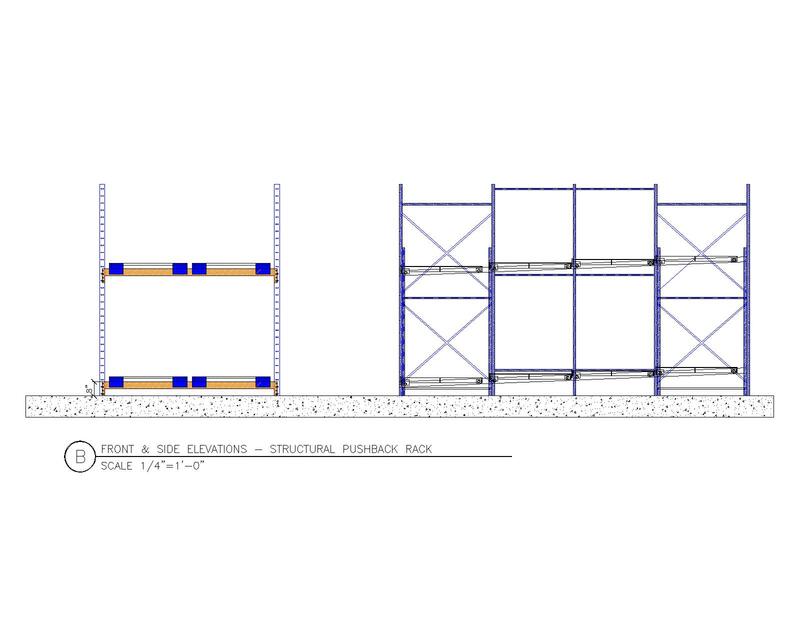 Push-back pallet rack systems are designed around the principle of organizing space by depth rather than width. This depth arrangement greatly reduces aisle space and increases storage density. 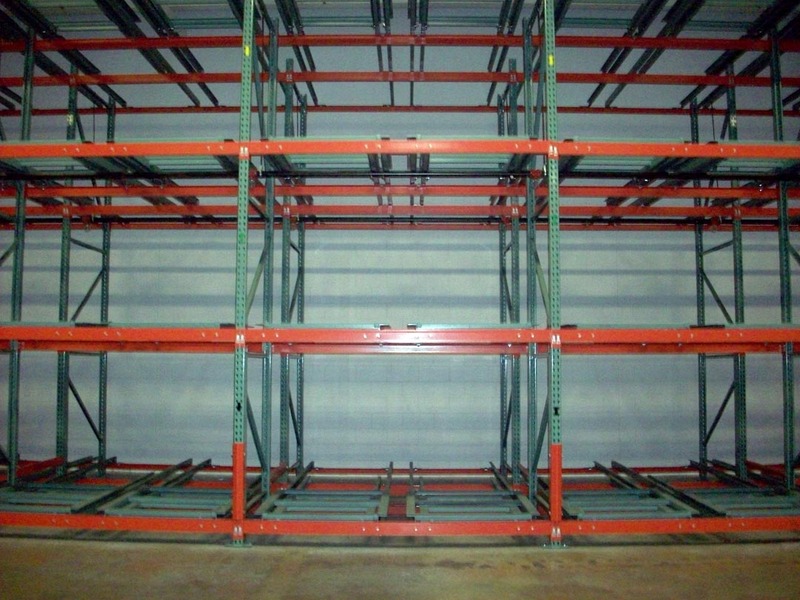 In this configuration, each bay can be up to six pallets deep; each pallet stored on wheeled carts that fit onto rails. The rails are slightly angled toward the load/unload side of the rack in order to take advantage of gravity, saving enormous amounts of energy for moving heavy pallets. When a forklift sets the pallet onto the cart, it drives forward and causes the pallet to bump the next pallet, causing the entire row of pallets to roll backwards. When removing a pallet from the front position the remaining pallets immediately stage themselves forward so that the next available pallet can be accessed. 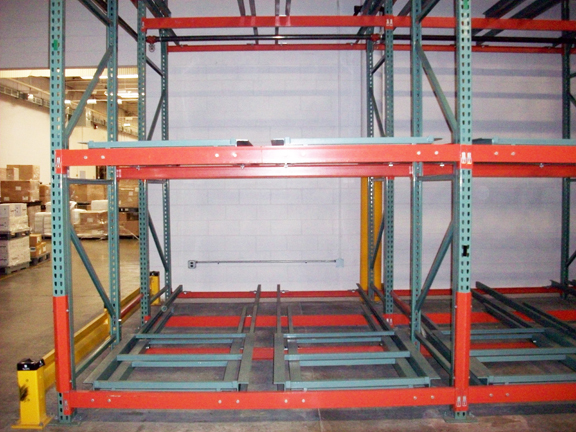 Push back rack is a LIFO (last in, first out) storage system.